Nature is blossoming all around me! Crunchy young leaves sprinkle the branches of the Linden trees in front of our house with their fresh green, thousands of yellow, pink and white flowers take over the city, visually and with their fragrance. It feels so refreshing and wakes up all my senses! 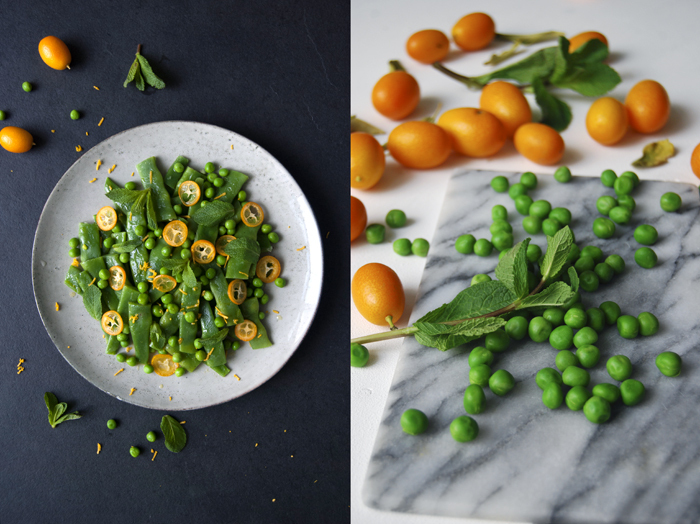 So many colours bursting around me inspire my culinary activities, I need crisp greens, beans, peas and mint, and a little orange, sweet and sour kumquats and fresh turmeric root for a light vinaigrette. 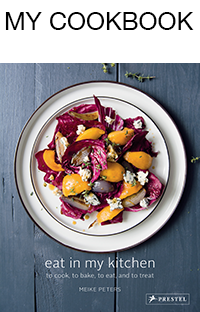 You could also enjoy this composition as a warm side dish, with a splash of olive oil instead. I wanted to take my time, to prepare one ingredient after the other without hassling about keeping everything warm. I chose to slow down my pace, the kitchen windows wide open and the birds seemed as excited about this outburst of spring as I am. It was a cold salad in the end, enjoyed with a relaxed mind and a couple slices of fresh ciabatta. In a large pot, bring salted water to the boil and blanch the beans for 3 minutes or until al dente. 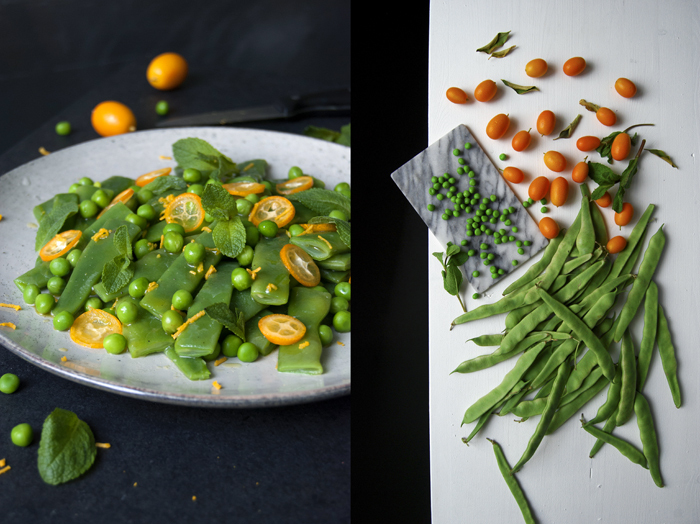 Take them out with a slotted ladle and rinse them under cold water for a second (to keep the fresh colour). 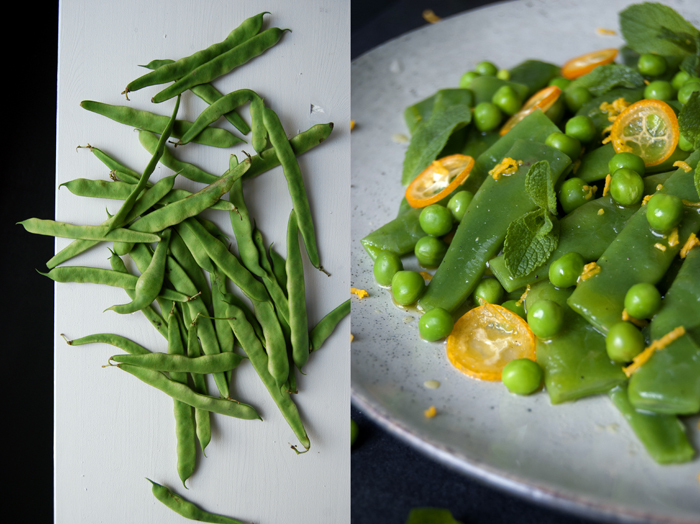 Blanch the peas in the same pot for 1 minute, take them out and rinse them for a second with cold water. Whisk the ingredients for the dressing and season to taste. 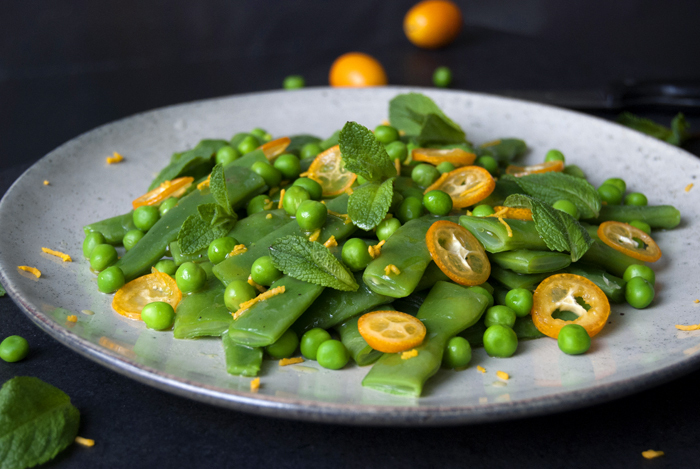 Arrange the beans and peas on a large plate, sprinkle with the dressing, the slices of kumquat, mint leaves and a little more grated turmeric root.